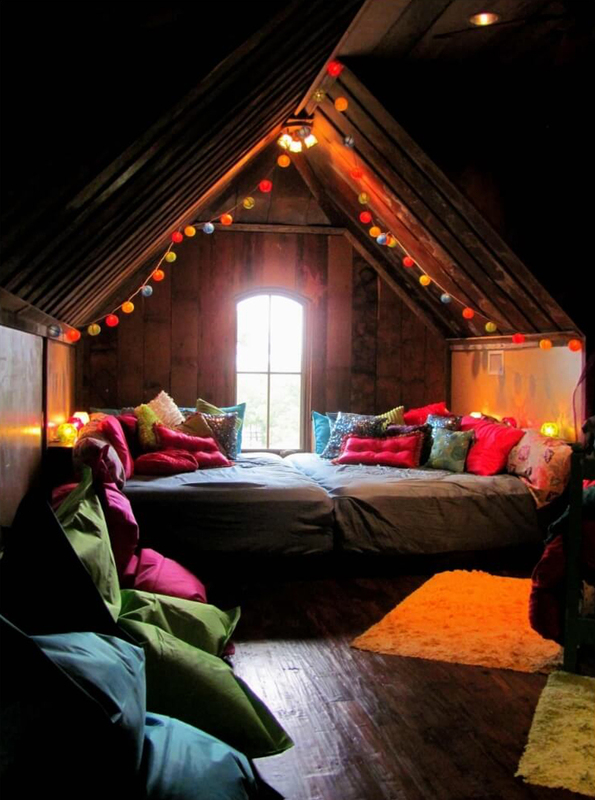 String lights are super cute especially when used in the bedroom! String lights could be the easiest and cheapest way you can add decorative lighting to any space in your house. Instead of getting expensive pendants or even chandeliers for your bedroom, one can opt to actually get string lights as substitutes. You can a single bulb, two, or more – depending on the way you’d want the room to turn out! In considering this option, you always choose to get bulbs that come in different colors, sizes, shapes and wattage. 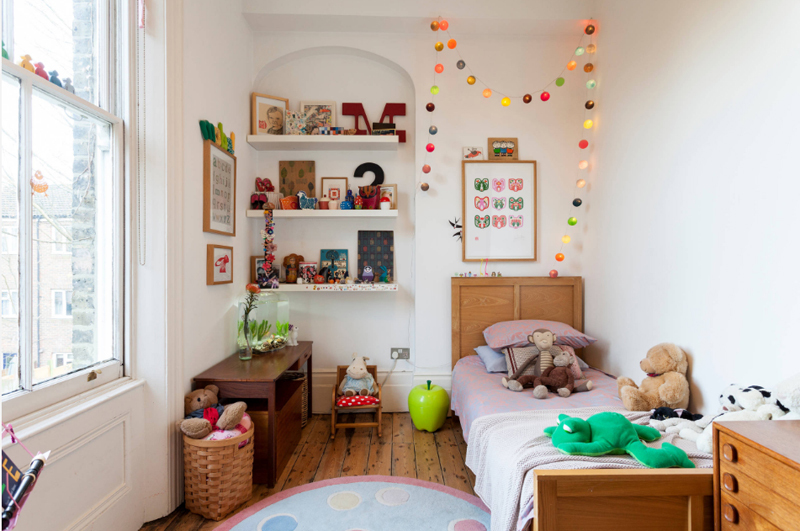 In this list today, you will be seeing a couple of bedrooms that you could use as inspiration if you want to add string lights in your very own bedroom; or even for children or teens! Check the following photos and see which ones you can actually apply at home! 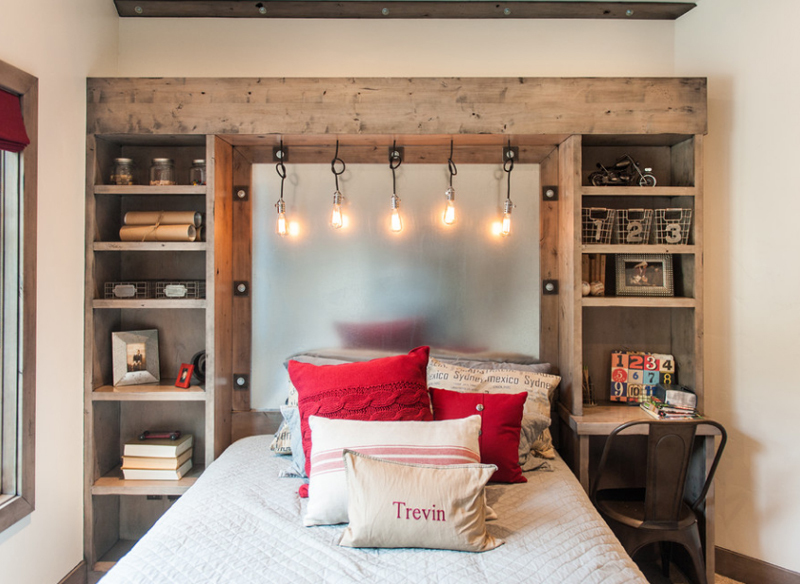 First on this list is a simple white string light that surrounds the head board. Even when the lights do not actually contrast the color of the wall, I think that the effect is still nice, still cozy and homey. The pallet boxes that were multi-purposed as night stands are an awesome way of repurposing them instead of actually throwing them out! 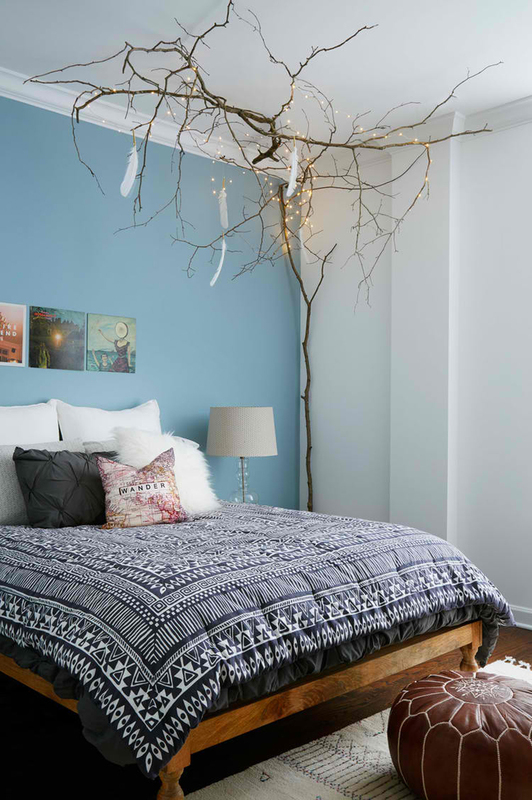 This bedroom may have very minimal string lights, but check out how it looks – really pretty; mainly because it matches the color of the accent wall and the night stands. One of the few things that this bedroom would be loved is because of the clean and wonderful aura and theme it actually have. This bunk bed sure looks like it belongs in this place. 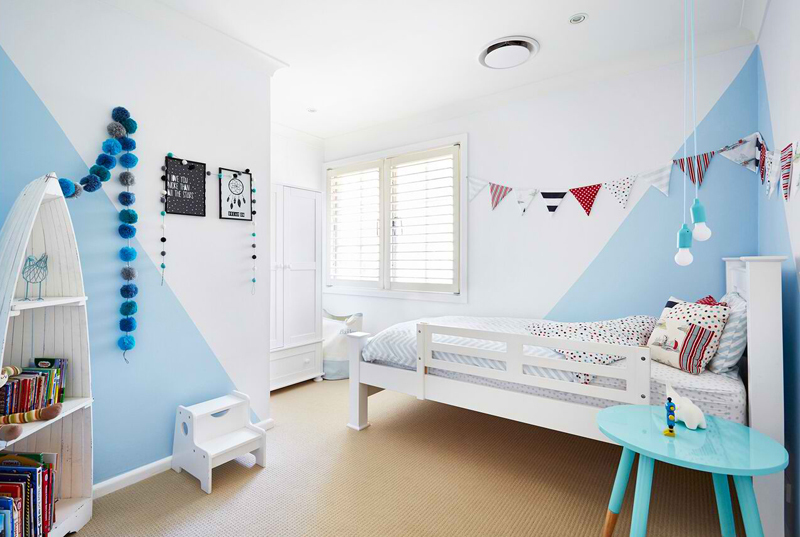 The way it matches with everything inside this space and complement the accent chalk board wall – I think that the kids staying in here would actually love being in here for all the wonderful qualities that this bedroom have. This beautiful bedroom as we see it has been photographed by Veronica Rodriquez and would you agree with me that this is in fact one beautiful bedroom that anyone would be envious of; maybe not really those people not into wallpapers because obviously, this bedroom is filled with it. I think that using multi-colored spheres for your string lights is nice. This bedroom is obviously for your kid which I am sure is enjoying their stay in here. 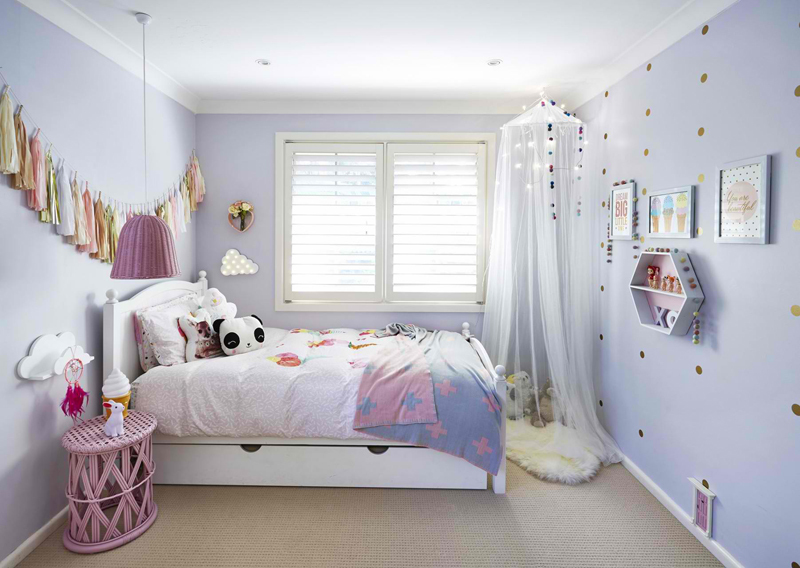 The cute bed, the recessed wall with shelves and the wooden floors look incredibly beautiful! 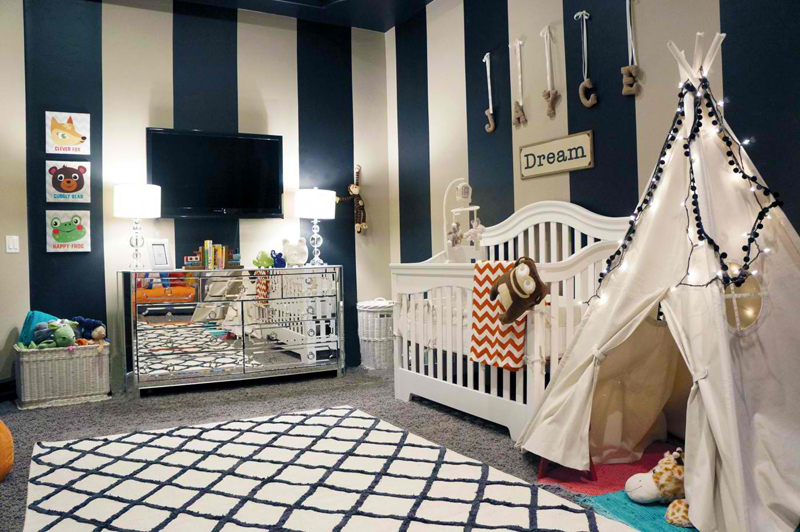 I know that this is a nursery – but nonetheless, this is a bedroom in your house. Look at how they actually made the tent look far more interesting by adding the lights outside; so when your toddlers go inside; you turning the lights on – they would surely have an awesome time in there! Whoever Tyler is, I think she (he) is really happy to have this room – with the prettiest pastel colors there are, I think whoever sleeps in here must be very calm at all times. The charming and cute decorations are just additional icing on the cake. 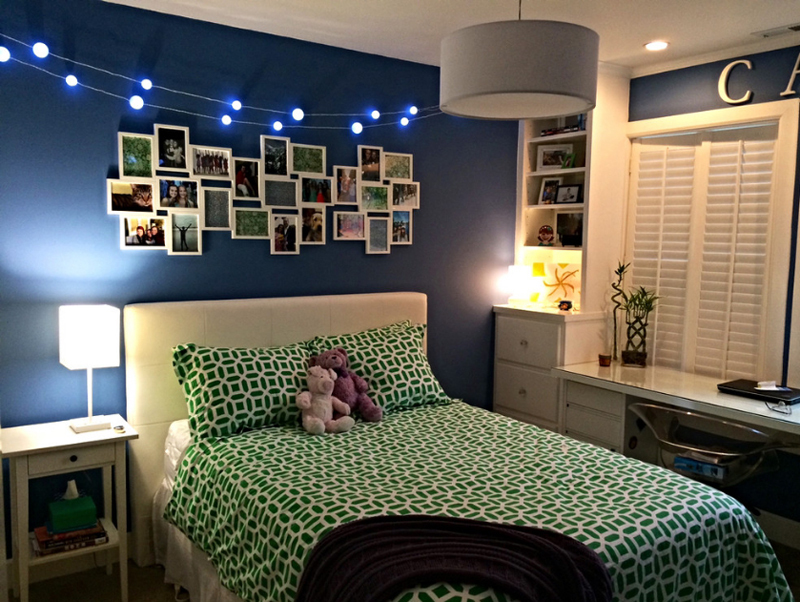 The green beddings in here seem a bit misplaced because of the blue wall, but I love how much photos are displayed on the wall and the choice of bright white for the color of the string lights. White modular furniture was added to make this space a bit neutral and friendly. This is definitely one of the most interesting bedrooms in this list. Check out how prettier it actually looks with the twigs added to it. Adding the string lights and the feathers made it more enchanting as it is interesting and fun. I guess, anyone using this bed loves it here! I am always amazed at how much length parents would go to give their kids the things they need and things they think they want. 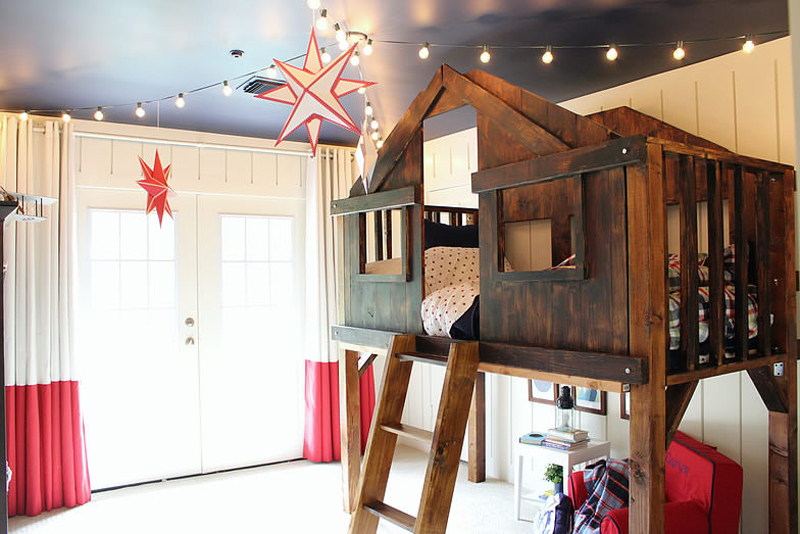 This bedroom is one example of how much camping is loved by kids and having a bed like this one could mean having camp everyday which could possibly mean the world to the owner of this bedroom. When I saw this photo, I actually liked what I saw. The way that the photo was taken may not be as fancy as the others but we can see how this bedroom actually looks real cute and princess-like. The color combination is quite nice and I think both kids and teens would love this. This bedroom has the cutest things! From the wallpaper, the display cases, the green side table and pendant and the cute quilt. 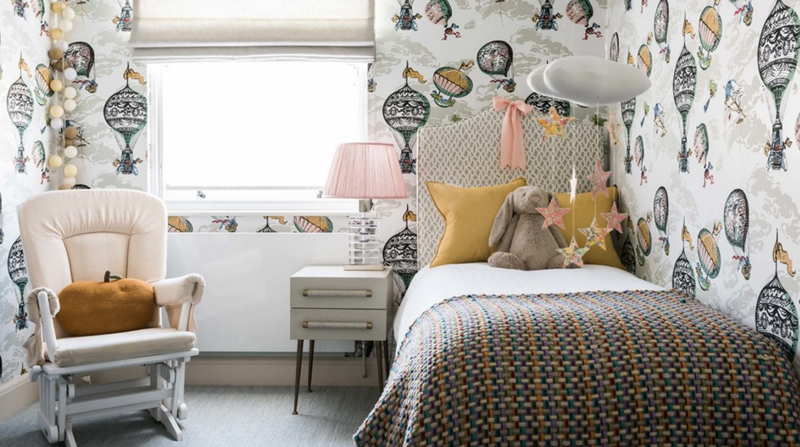 I think that Sienna is one happy kid to have one lovely bedroom like this one; she could even be so home buddy, her parents would want her out of the bedroom at times! 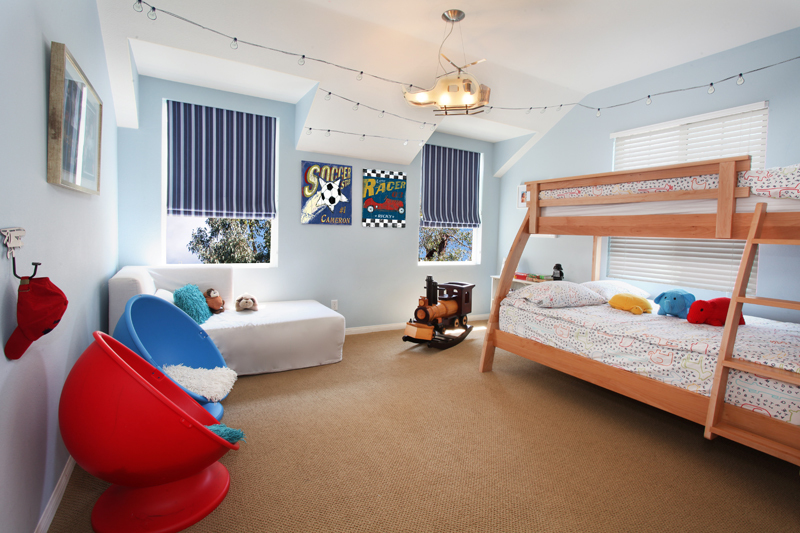 Bunk beds are great options for parents who want to have their kids in one room and still save space; having two separate single or double beds could mean lesser walk space or play area for the bedroom users. 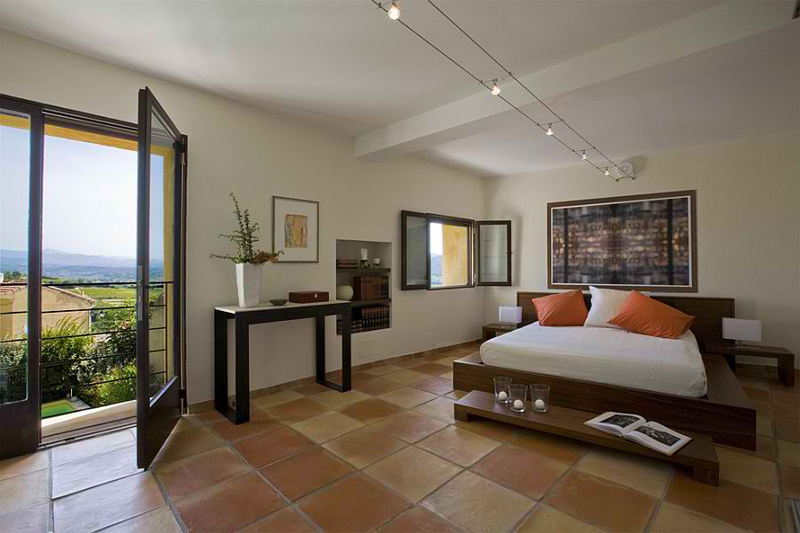 In this bedroom, we see that they picked the simplest decors and furniture but still look stunning and inviting. The bed may actually be small, but the bed sheets used with it seems to be really inviting and comfortable – I think staying inside the bedroom would be something of a struggle for the user of this lovely bedroom. Check out the floating shelf with the string lights in it too. This bedroom is ideal for a college student, but a teen would love this one too. The string lights in here are separated with different string and are hidden on the top part of the head board that serves as an arch of cabinets. See how multi-purpose this arched cabinet is and how neat it goes with the string lights – very rustic and beautiful. I find the string lights in here a bit weird in position but I think that this is an effective way to spread the light in the bedroom. This contemporary bedroom sure is nice and cozy, I think the view is an additional treat for the home owners of this lovely home. This bedroom sure feels and looks like camp – everyday and every night! I can’t say for sure if adults would not love to have a bedroom like this one, but I think it’s the kids or the teens who would love to have this type of decor in their spaces. The colorful lights and pillows in here are really beautiful and funky! 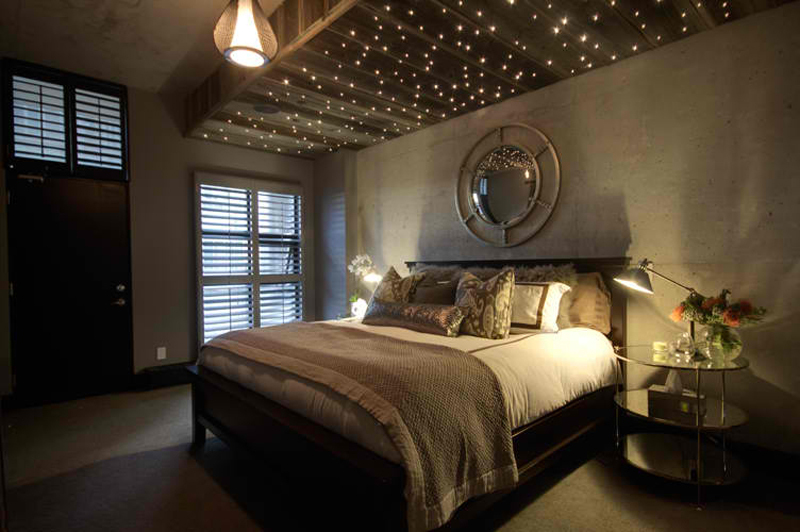 Having string lights in the bedroom means you could have star-like effects for your bedroom. Lying down in bed and you can see a lot of stuff like this one, I think that sleeping would always be easy and pretty comfortable – especially when you’re into star gazing. Second to the last photo in this list is a wonderful bedroom with pastel colored walls and linens! The use of wooden planks meant that it contrasts with the furniture and look really pretty – I think lighter colored floors would work, but contrast works better for most things. Do you think so too? Last in this list is this beautiful bedroom from Jen Talbot. The four poster bed is just so pretty and princess-like, I think having this beautiful bedroom would mean that you’ll have more sleep than when your bedroom looks cramped or unstyled. 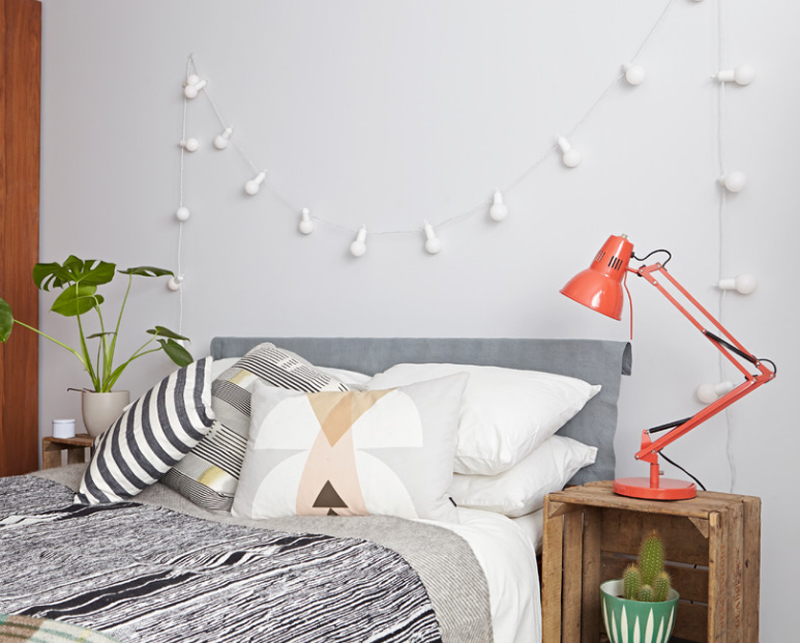 Now, that was a cool list – 20 Ways You Can Spruce Your Bedrooms with String Lights! We have created a list of 20 Beautiful Outdoor String Lights Set Up which makes spaces far more interesting than they already are. Even when they are simple or small things that you add to your spaces, but they sure create a wondrous experience for the users of these spaces with string lights. Spread the word and share this with your friends!